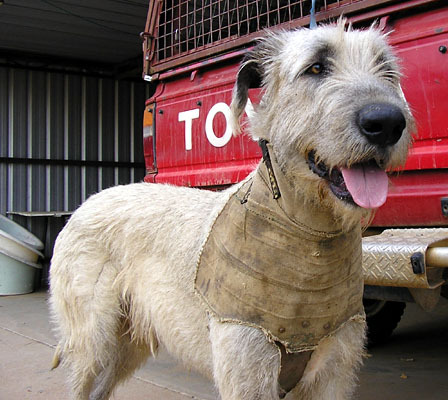 What does a boarhound look like ? notice something ? yeah, it looks like a Great Dane. 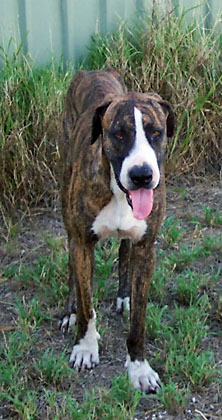 so, why doesn’t a boarhound look like this ? or like this , this, this or this ? Below is a list of real photos of real boar-hunting dogs that hunt real boars and real hogs. They also hunt real stags. With real antlers. Lo and behold, none of these dogs look like mastiffs. Or ‘molossers’. Or huge, clumsy, wobbly-assed, overangulated, cow-hocked, bovine-headed, droopy-eyed, slobber-chopped, wrinkly, rolly-polly, about-to-collapse mastinoids. Notice something ? none of them are heavy. None of them are overdone. None of them have big round (slow, weak) bone. None of them have XXXL skin. ALL of them have good eyes. They need their eyes, you see. What they don’t need is ears like parasols. Pay some attention and show some respect, for a change. Show some respect to the Dog. It’s not a cuddly toy. It’s not a fashion item. It’s not an ego-booster. It’s an animal that for thousands of years has fought, hunted, bled, died for us. And you have made a mockery of it. R E S P E C T.
I know it’s an alien concept for buffoons, but give it a go, try. Might do you good. Sometimes, these dogs die doing their extremely dangerous job. It’s not something I condone. It’s not something I’m asking anybody to do with their Danes. I am asking you to look at these dogs and understand. Learn what form was shaped by this function. 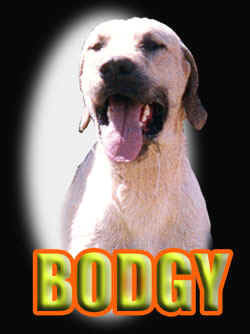 Not the form of your hyper-blobby, teetering, pathetic ‘dogs’. They were bred to do this job. This job made them what they are. What they were, before you set out to ruin them. Learn. 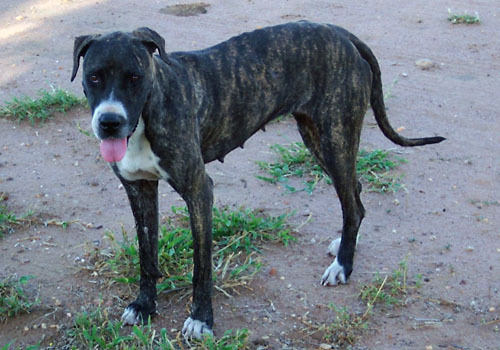 Realize what a Great Dane fit for purpose is supposed to resemble, even vaguely. Doesn’t have to work, doesn’t have to do this bloody, lethal job. But the dog has to look workmanlike. 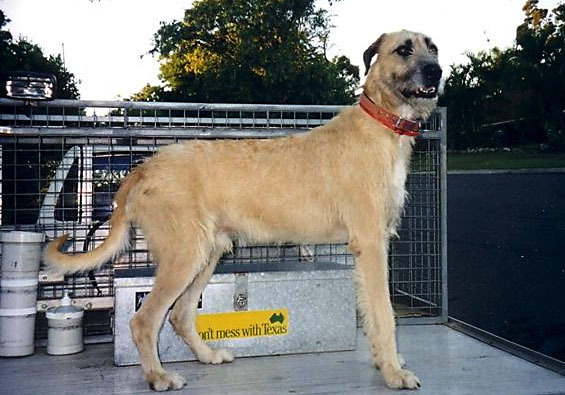 That is the spirit and the letter of all breed standards that describe dogs fit for purpose. That’s the purpose we are supposed to serve, as breeders and as judges and dog folk in general. That’s what we have to never forget. That’s the level we are supposed to operate on. That’s what expected of us, that’s what we have to rise up to, elevate our modus operandi and elevate the standard of breeding and exhibiting and assessing, instead of denigrating dogs, denigrating dogdom and making our community and our dogs a laughing stock. Or a target. That would be enough. To aim for dogs that at least look the part. Athletic. Beautiful in the true sense of the word. Sound in mind and body. Not a parody. Not a tragicomedy. 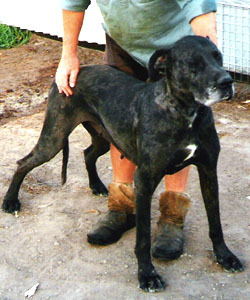 A dog that we wouldn’t be ashamed to call a Great Dane, Apollo of dogs. Is that too much to ask for ? Have you gone that far from reason ? Have you totally abandoned common sense ? Have you completely forgotten the meaning of integrity ? Stop destroying what’s not yours to destroy! 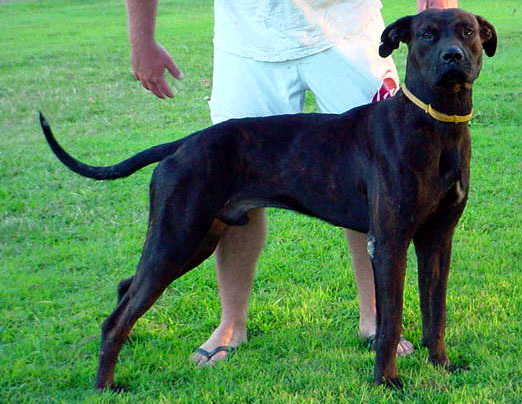 Millennia, aeons shaped the predecessors of the Great Dane. The breed does not belong to you, to me or to anyone to destroy. It’s a living legacy. It’s our cultural heritage. It’s a historical monument that we owe respect to, a living, breathing treasure that we have to care for and bequeath to our children intact. Proud. Unmolested. Viable. Healthy. Happy. Capable to live a real dog’s life. 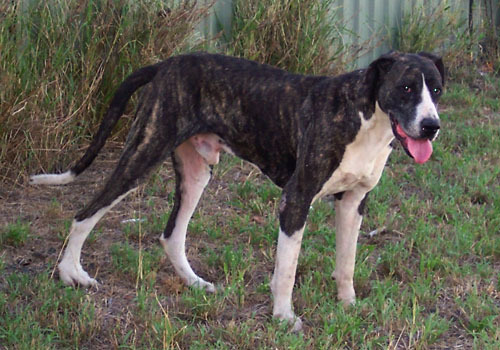 Even at the nick of time this breed can be saved, deserves to be saved. Without one of the two, you have a very dead dog. So these are good dogs. Bloody good dogs. Dogs that deserve appreciation and respect. Dogs that have more guts and smarts in their little toe than all of us – and much more honesty, manners, breeding and class than some of us too. Dogs that can teach you a lot of things. If you care. If you use what’s between your ears. If you allow yourselves to be humbled, in order to truly learn. They can also teach you what you won’t learn from books & theoretical analyses about molosser type. True ‘molossers’ were able to do a day’s job, like these dogs do. They weren’t bred for skull circumference and chest perimeter and elbow thickness. Their measure was heart and intelligence. They were tried and tested at a job of work. They weren’t stuffed pillows. Like everything else in nature, its the survivors that got the chance to pass on their genes. So they were shaped by purpose and ability. And they were shaped well. Today’s hunting dogs are not much different because today’s boar isn’t that different. Circumstances changed but they haven’t changed where it matters, at the crunch of the test: supreme physical and mental efficiency for the dog’s original purpose. To function. To hunt. To chase. To hold. To avoid death. To succeed in the struggle for survival. 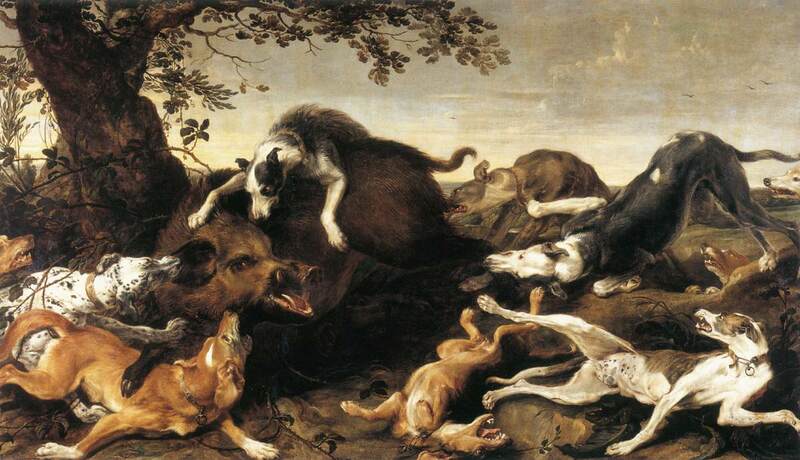 Most of these dogs have caught and held and fought hundreds of very dangerous, very deadly adversaries, boars & hogs with razor sharp tusks, since they were pups – and they had pups as good as themselves and they lived to a ripe old age. Unlike your dogs. And unlike mine. That ought to teach us all something. 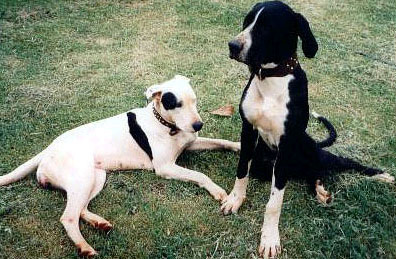 Take a good hard look at these dogs and then tell us, seriously, admit it to yourselves at least, whether any of your “Great Danes”, your disabled Danes, your “molossers”, your “mastiffs”, could live up to that. Any time, any place, take your dogs to the task and see how fit for purpose they are, as you are supposed to breed them, according to the FCI, and how long would they last. We don’t really mean it. It’s hypothetical. We do not really wish to have you engage in such a demanding type of hunt with unfit dogs. Or even with ‘fit’ hyper-types. The poor dogs wouldn’t be able to. They couldn’t do a days work, not even an hours work, not even two minutes of what these moderate, lightweight, tough, fighting-fit dogs can do since they were pups. So stop fooling yourselves and stop trying to fool others. Abandon your fanciful marketing lies. At least to those that know better, eh ? Your dogs are not more typical, are not more sound, are not more authentic. 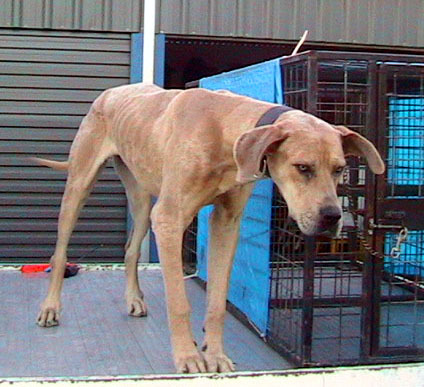 You are not fooling anybody who has two brain cells to rub together: hyper-type dogs are not fit for purpose. 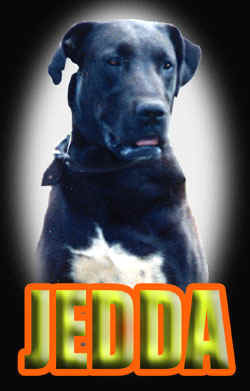 And therefore, they don’t conform to the breed standard of the Great Dane. They may look impressive to someone who likes that sort of beefed-up look, but they are not able to do the job. “Hypertype” has nothing to do with function. It is just a distortion, a deviation from the standard and a fashion. 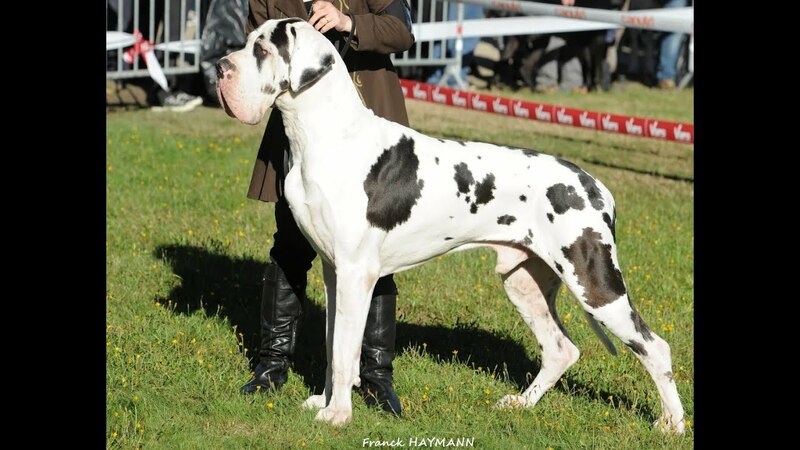 It has everything to do with egos, lack of understanding, lack of sound anatomical knowledge, lack of respect for the breed and its physical soundness and lack of respect and appreciation for the history of this brave and unique canine that we know and love as The Great Dane. Please, stop the damage and the destruction now. Find another breed to play with. There are so many overdone, coarse dogs. 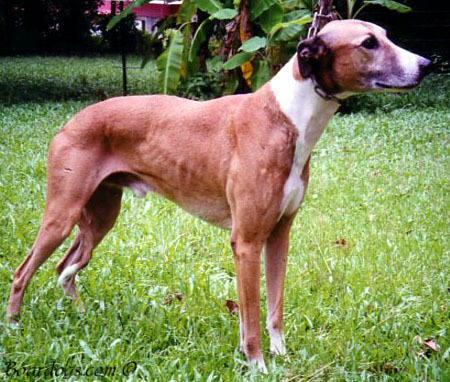 Why do you have to make Great Danes like that too ? Oh pwwwwweeeeze, I don’t want to be subjected to any more ridiculous claims and lies about how much better fitted to the purpose of hunting big game your dogs are. They are not. They are incapable of work, they are not fit for function. They are just show dogs and as show dogs they have to fit a breed standard and at least look as if they are fit for purpose -which yours don’t.They wouldn’t last two minutes, not, two seconds in this type of work. Study these pictures and stop lying to yourselves and to each other and to us. Enough theory. Time for a reality check. These are the hard facts. If any of you ever hunted boar with one of those caricatures of working dogs, come forward and let us see the proof. This is my challenge. The gauntlet has been thrown. I am not saying that all the typical dogs can work. 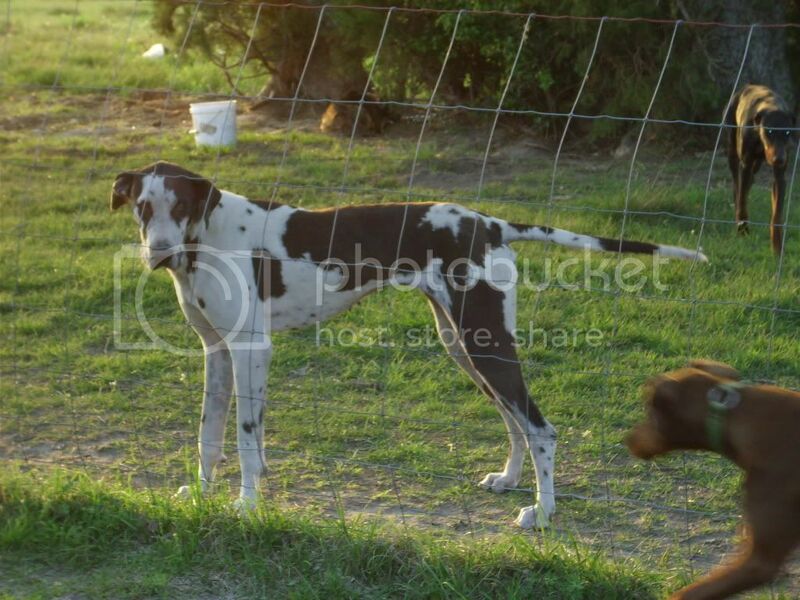 But in some of these pictures you will see Danes and Dane crosses that do work. Inform yourselves. 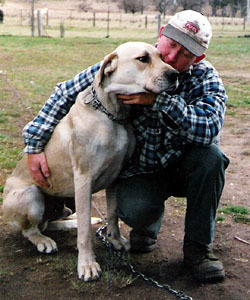 Working dogs are lean, athletic, efficient, agile, fast, able-bodied, with functional eyes, tight skin, muscle instead of fat and the kind of spirit you have worked so hard to destroy in your dogs – your unfortunate, sad, deformed non-functional accessories. If my challenge goes unanswered (and I am confident it will) we, the Great Dane afficionados, will continue to call your bluff and and ridicule your attempts of destroying our beloved breed. Until you admit it and until you stop. Excellent. Gauntlet remains untouched – of course! At the same time, not more than a handful of Danes, (if even that) who do perform this kind of work (function) , would be acceptable to bring into a conformation ring and unfortunately, a great percentage of the ones in the ring, no matter in what country, are not fit for function, even if their structure is. In the postcard of the Saalburgs, Fauna Moguntia is on the right, not in the centre. She was a brindle, and “Fauna” doesn’t mean “fawn”. Thank you for saying it like it is! firs of all, Im not a fool, and Im not being fooled… if you breed and like those german boardogs – then just seperate the breed!!!!! leave great danes at it is. You seem to be clever lady, so you probably understand that there is no way back… there are lots of beautiful danes, larger – yes, bigger – yes. But stl fit and normal looking. 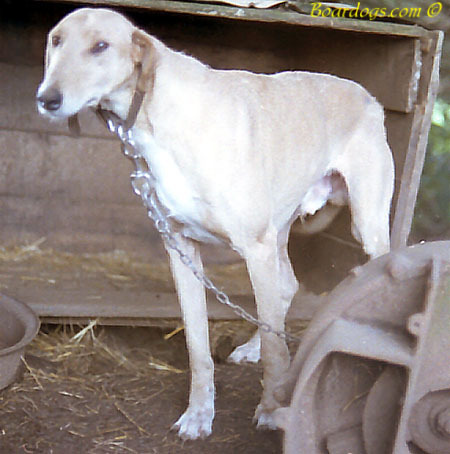 and the boarhouds are a different breed – that where used to HUNT. danes do not hunt. do not catch and are not used to any field work. So dont require all to look like boarhound. The breed can not be separated for amusement ,the great dane is hundreads and hundreads years hunter,guard and war dog!Today the breed is almost ruiniert,too big,too heavy,very sensitive health etc,,,from one marvelous breed to the apsolut useless claun dog.I living in Germany and here is also big disipointment between many dane breeders,the 80 % of dogs are just big sensitive live toys,the working ability are zero.The old typ of dane is very very hard to find almost in all EU and if you are lucky to find the price is five time more expensive then dane with FCI papers,but this old typ still hunting wild boars and deers and is very agresiv in home guard.